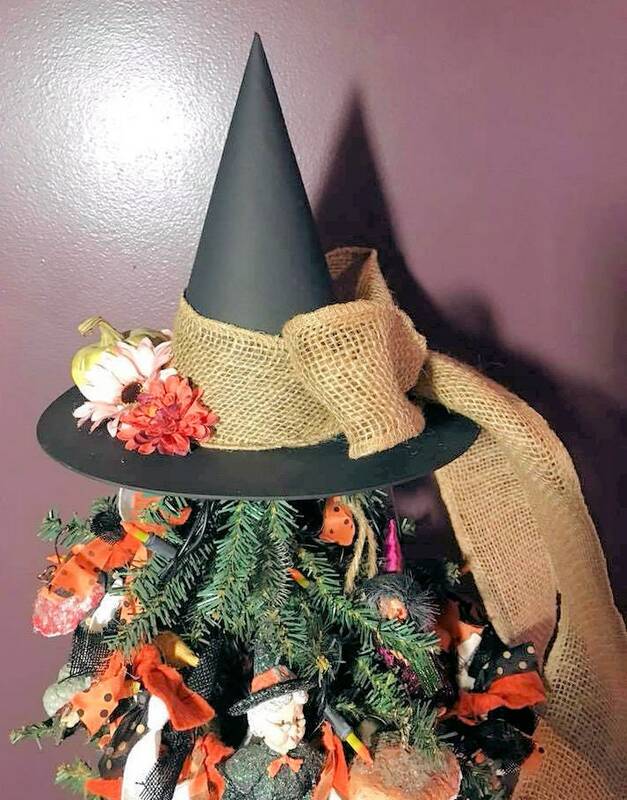 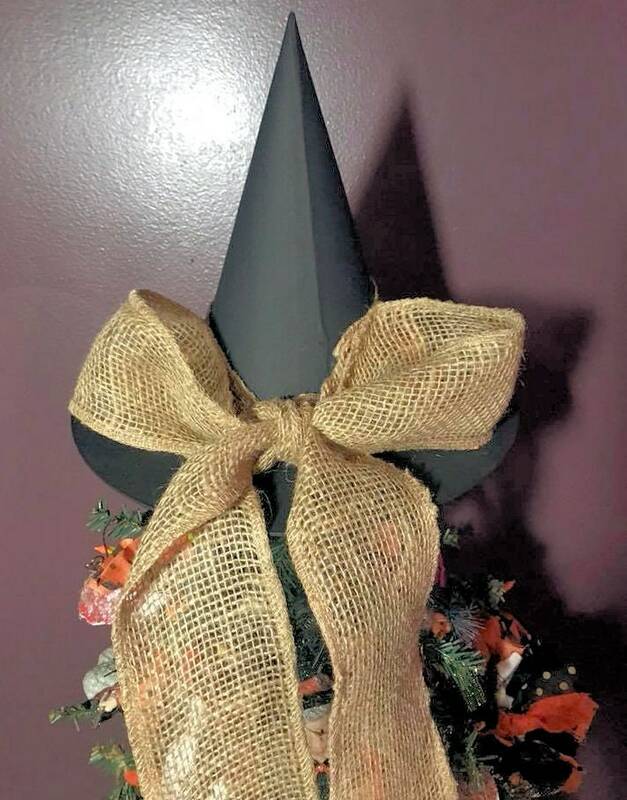 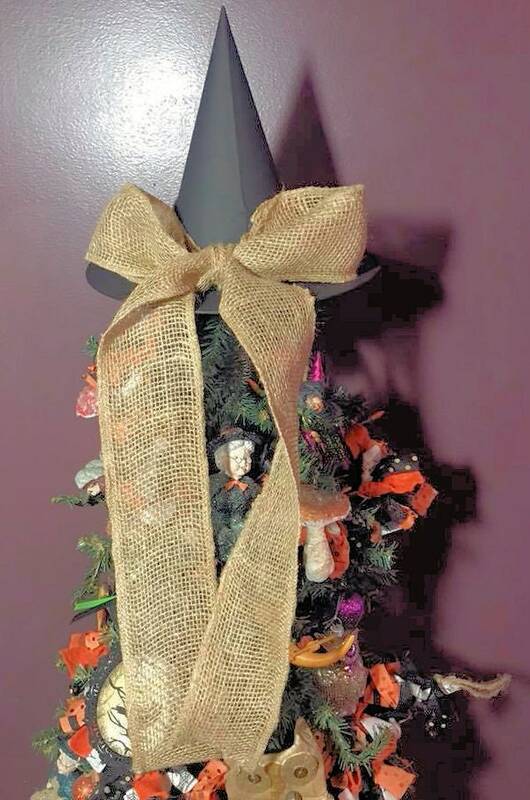 This hat has been painted a traditional witch's black, with a wide burlap ribbon around the base of the cone and tied in a large bow in the back that has a tail hanging 17 inches. 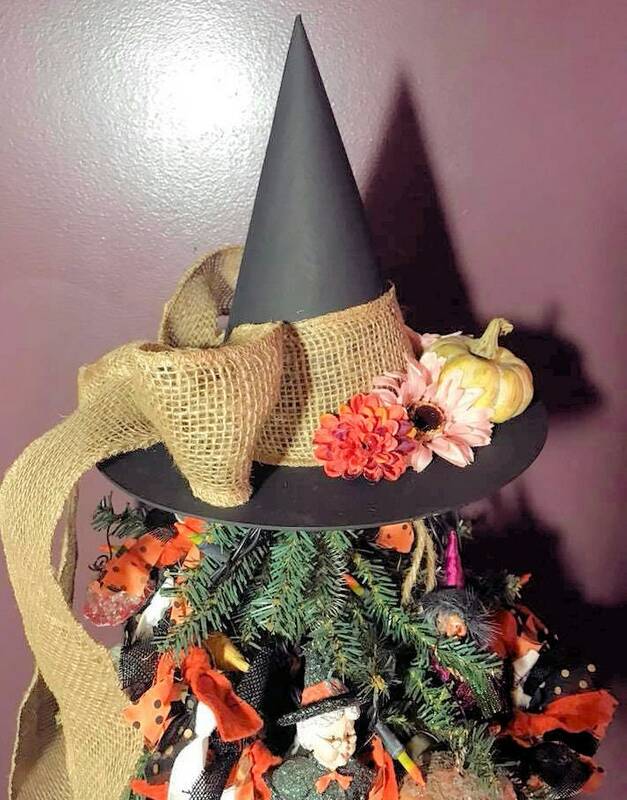 The front has pink daisies, accented with orange mums and one small green pumpkin. 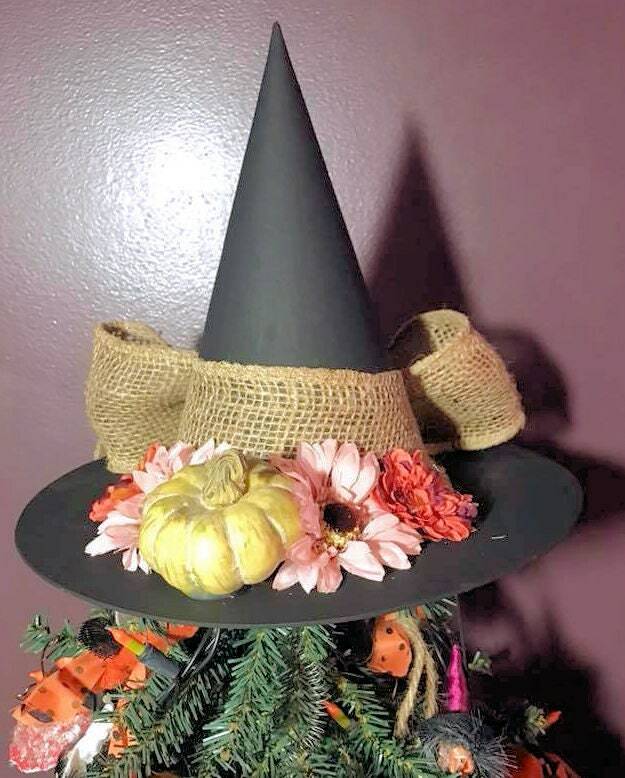 I have named this one "Harvest Witch"